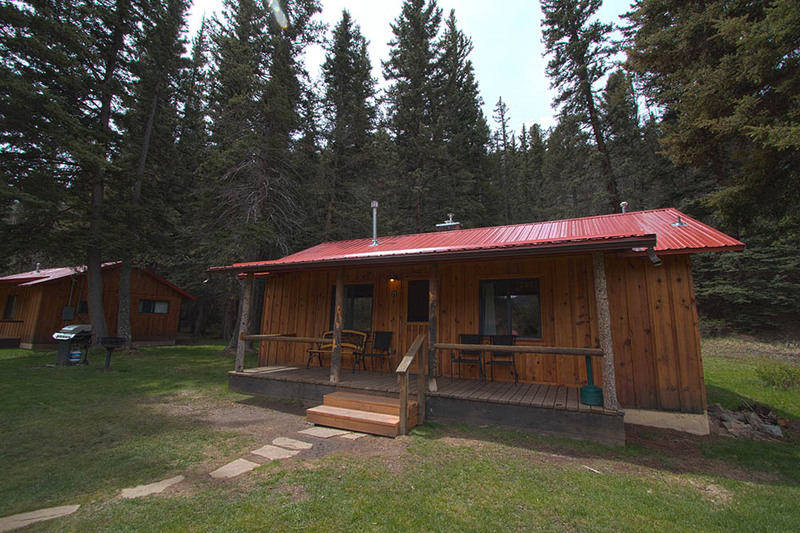 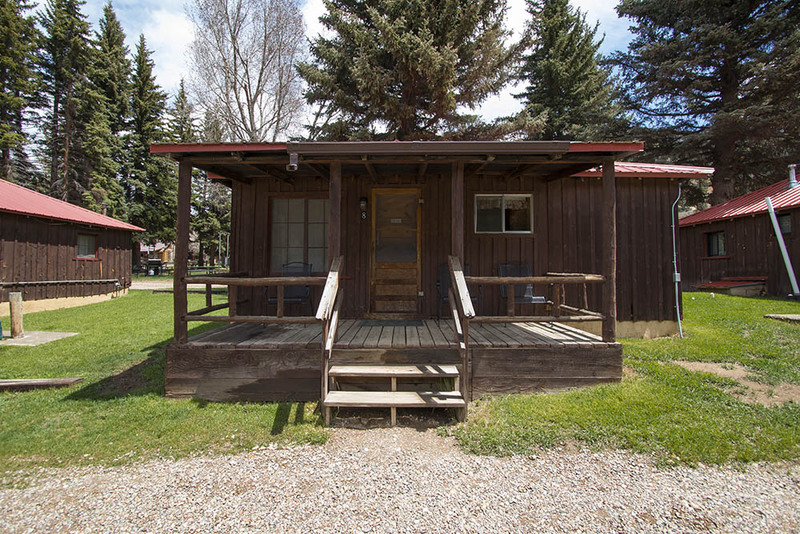 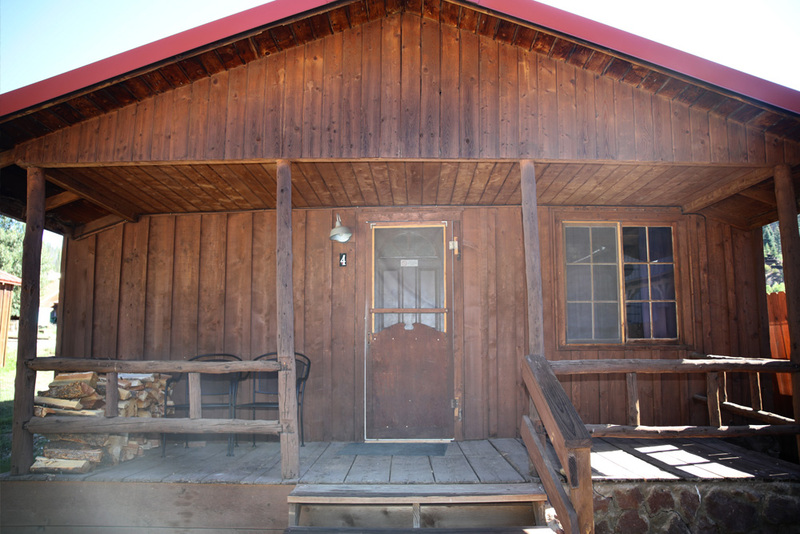 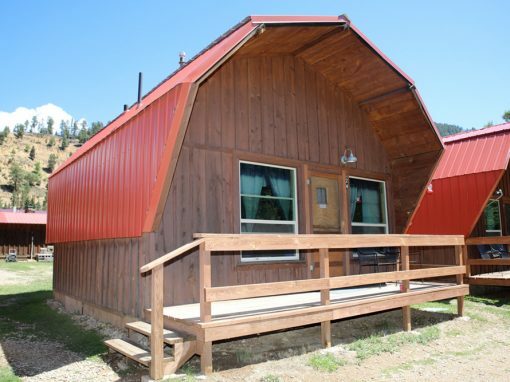 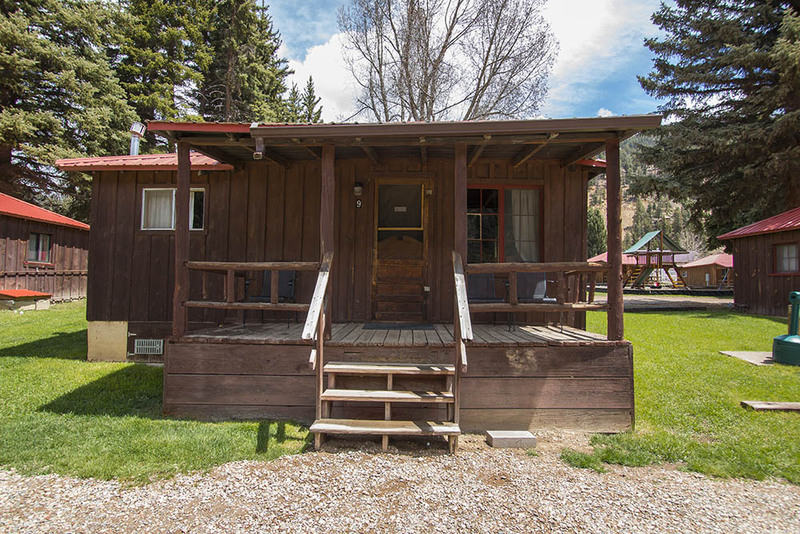 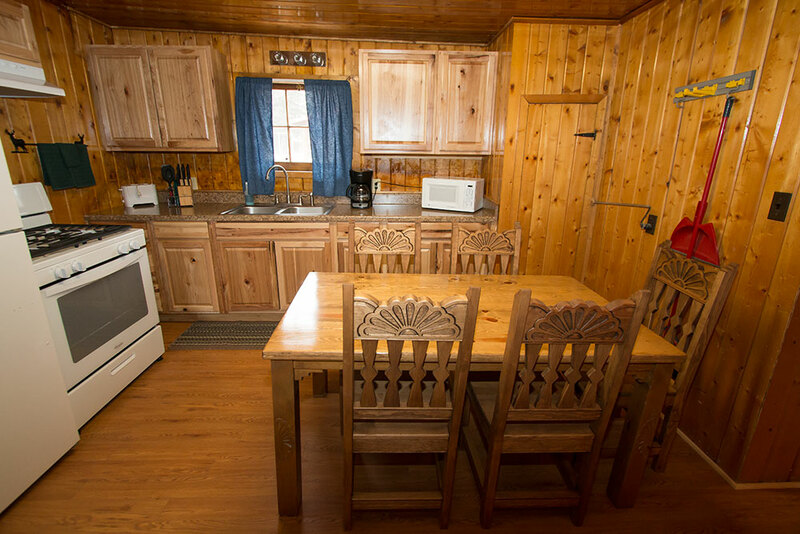 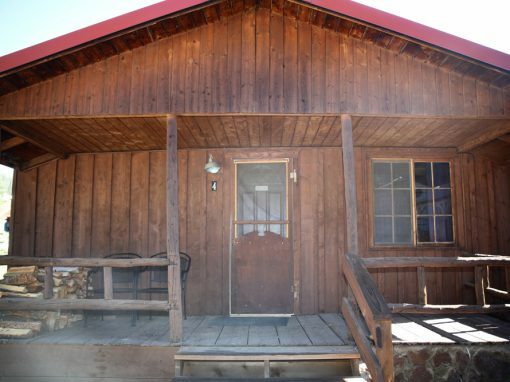 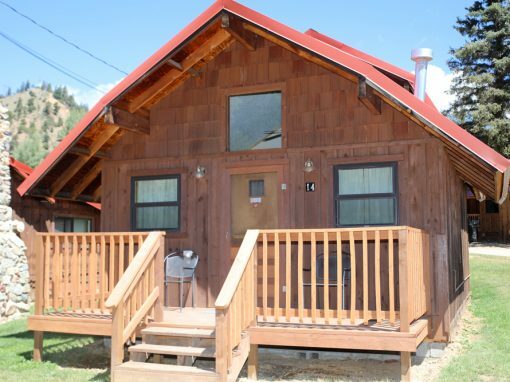 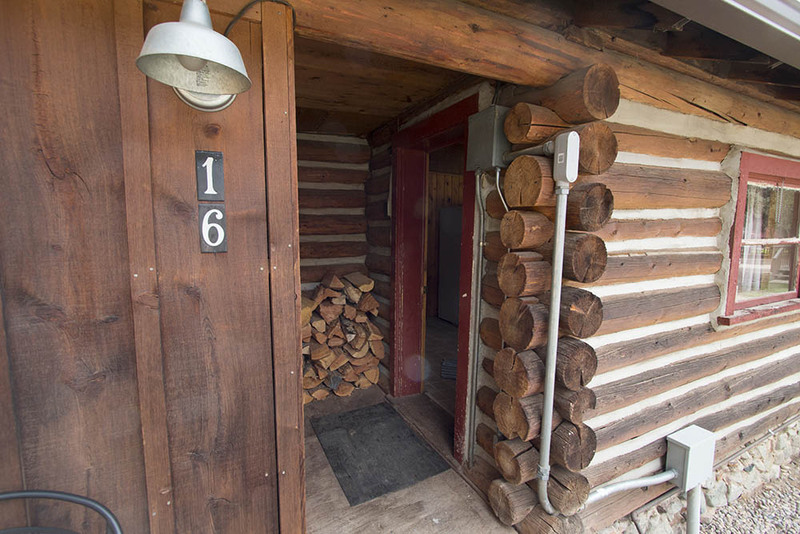 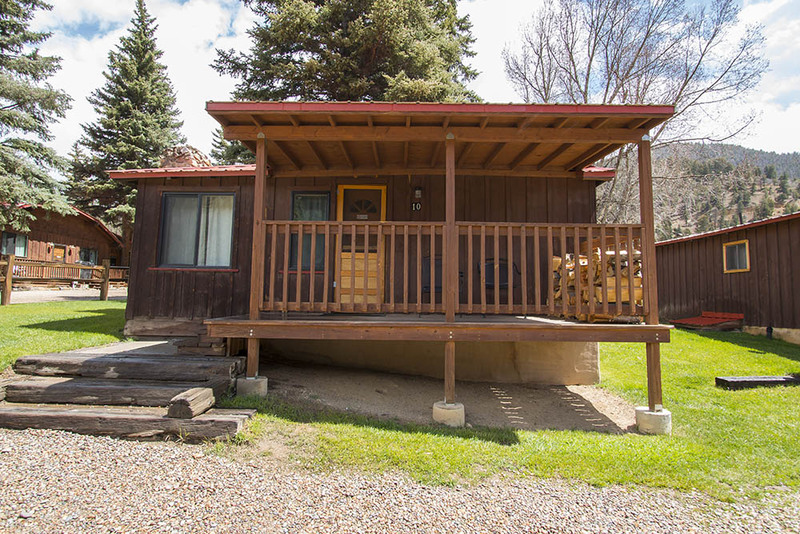 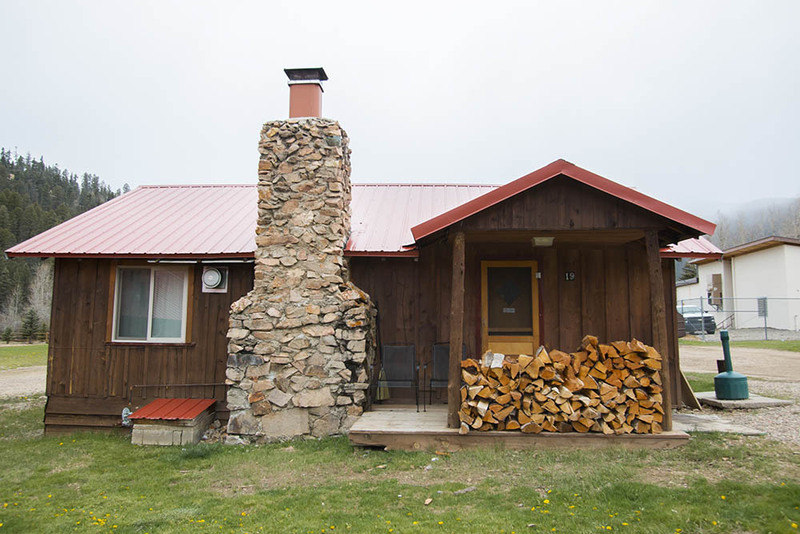 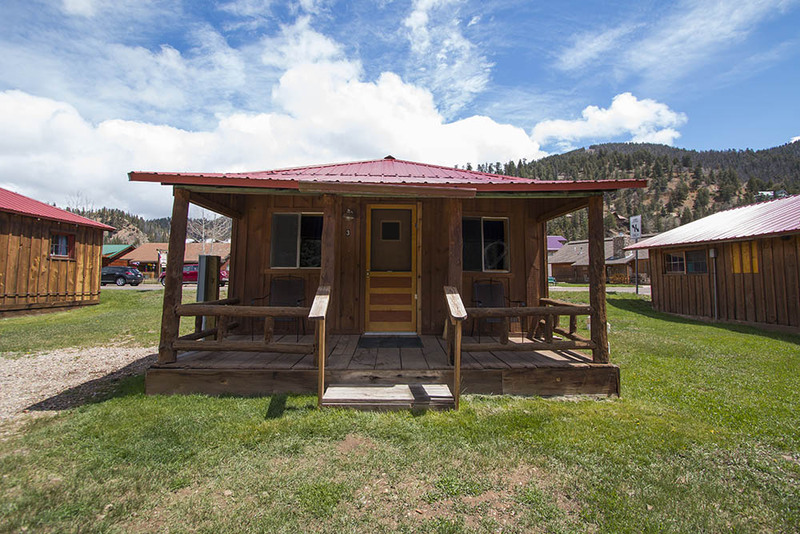 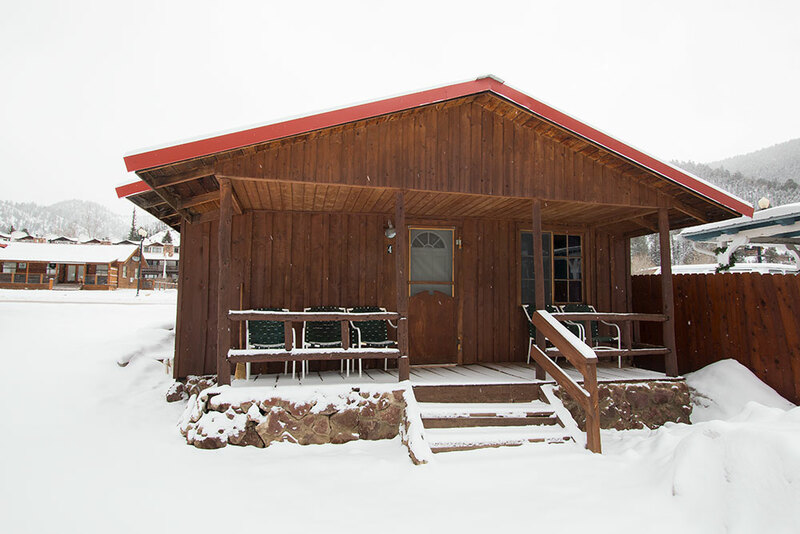 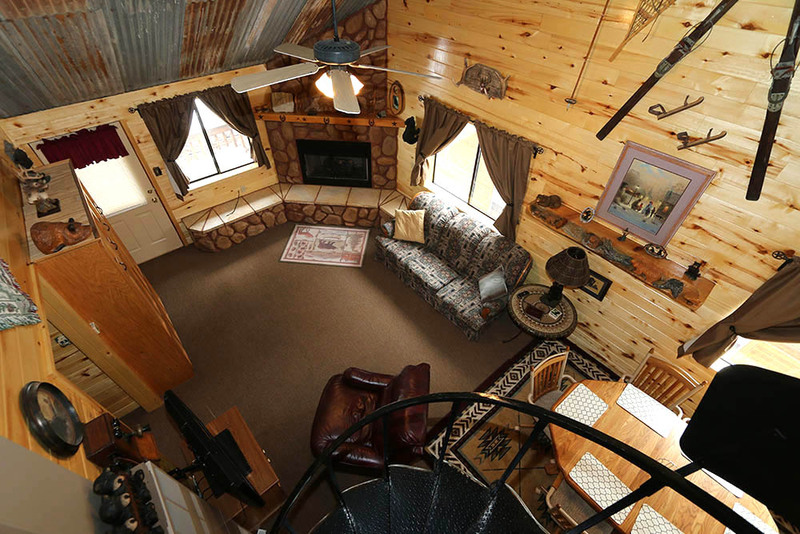 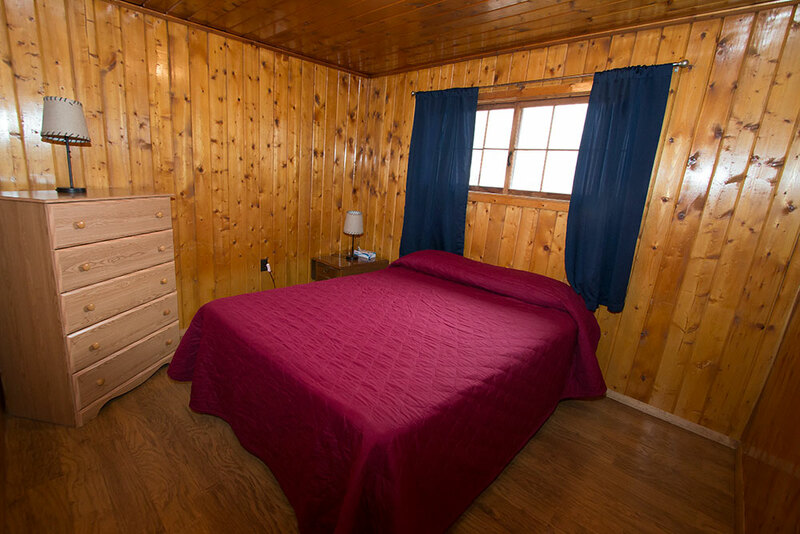 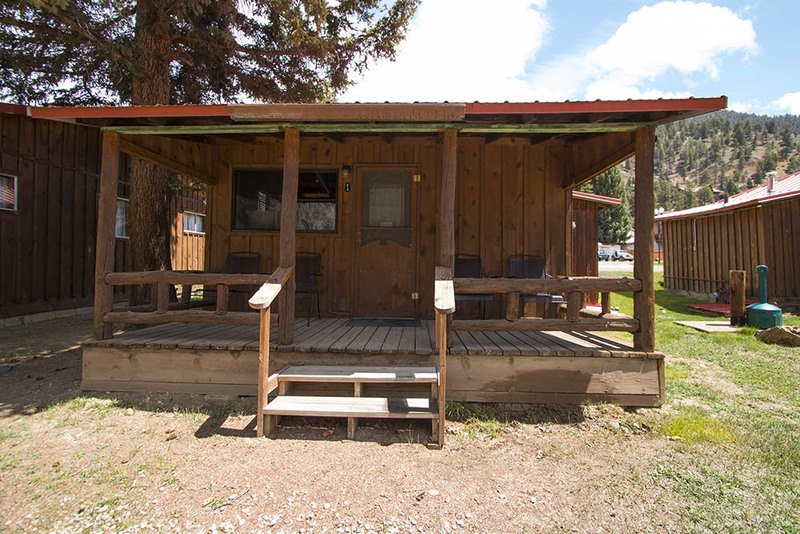 Cabin 4 is a rustic but quaint two bedroom cabin. 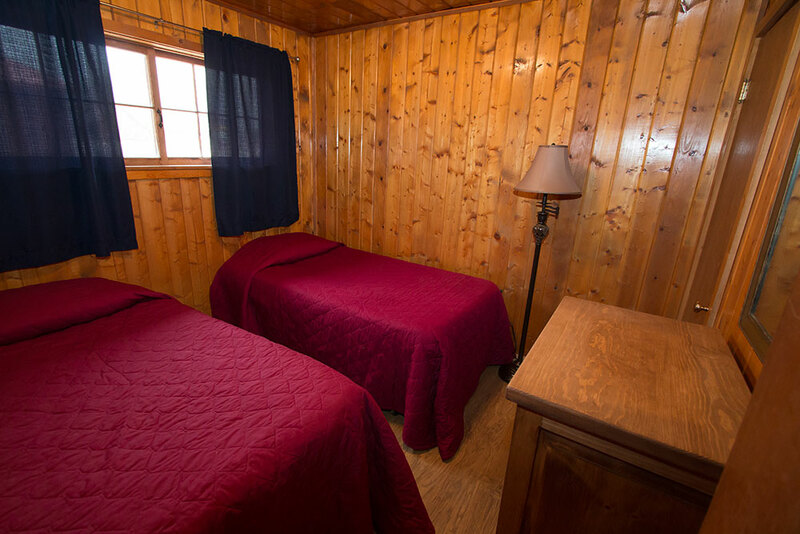 The first bedroom is quite roomy with one queen bed, and the second bedroom has 2 twin beds. 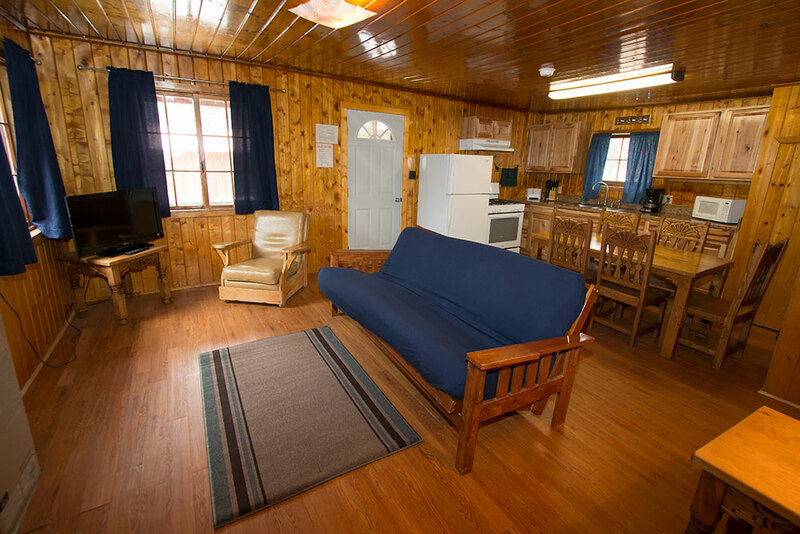 There is a double sized futon in the living room, so this cabin will accommodate a maximum of 6 people including children. 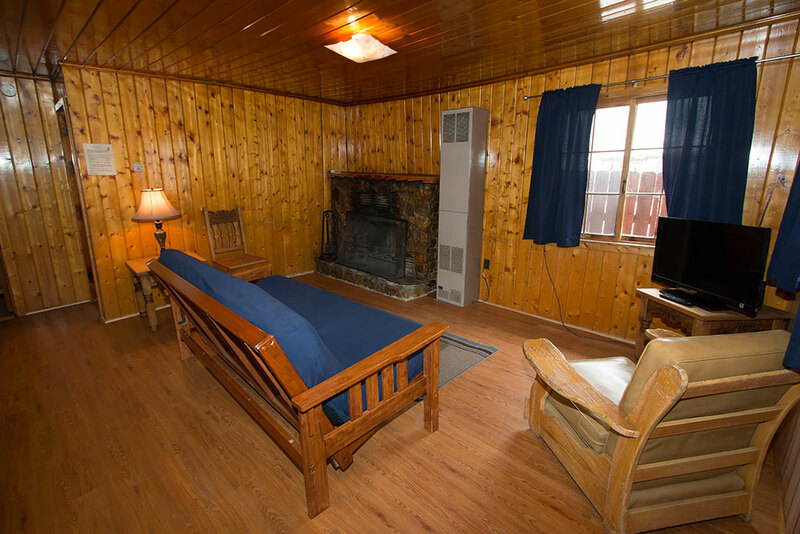 The original wood burning fireplace made from rocks found on our property is the focal point of the living room. 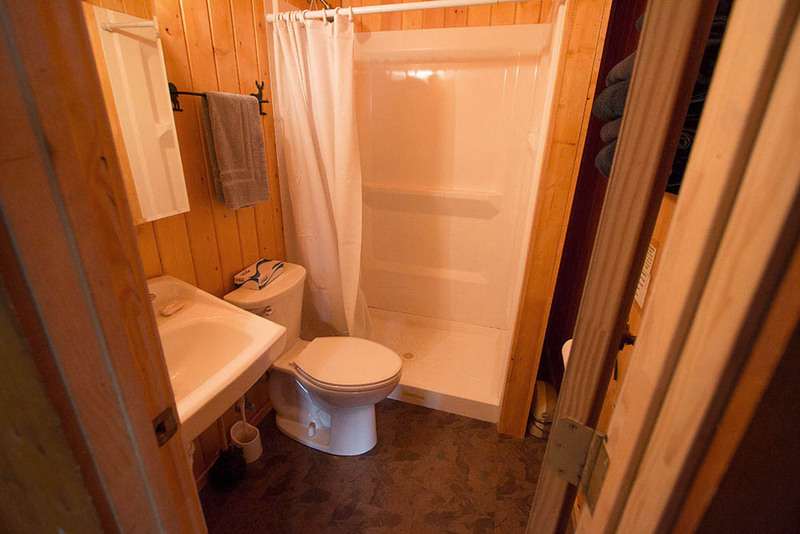 This cabin has a full size kitchen and one bathroom with a shower. 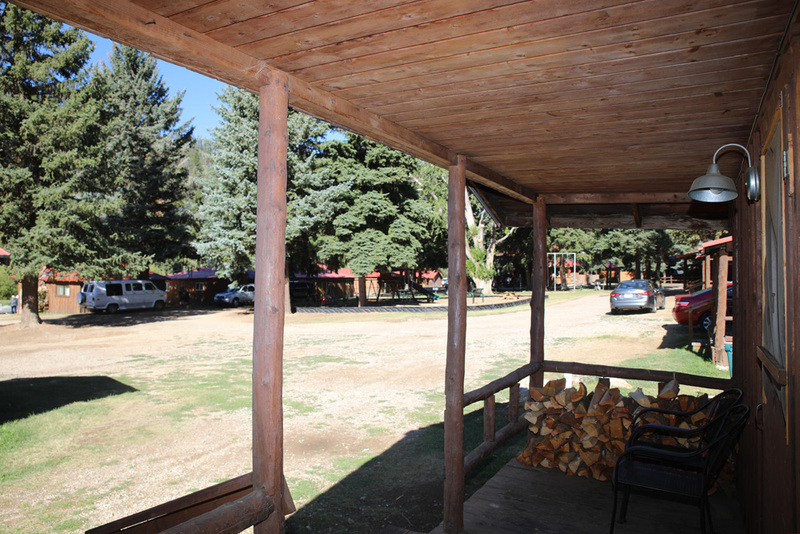 Cabin 4 backs up to Main Street and faces our playground/picnic area and has a nice sized covered porch. 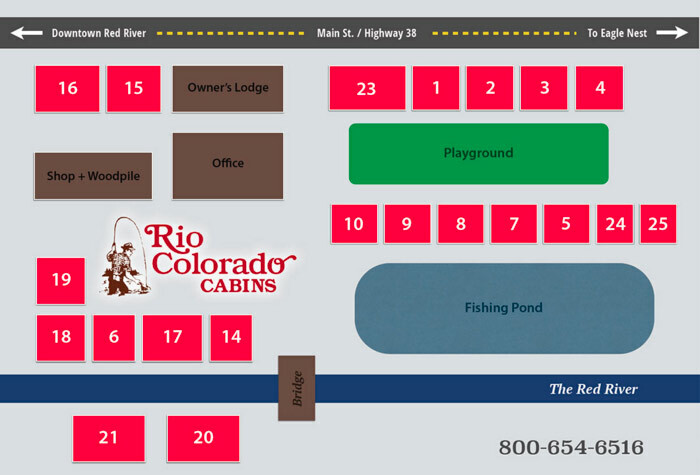 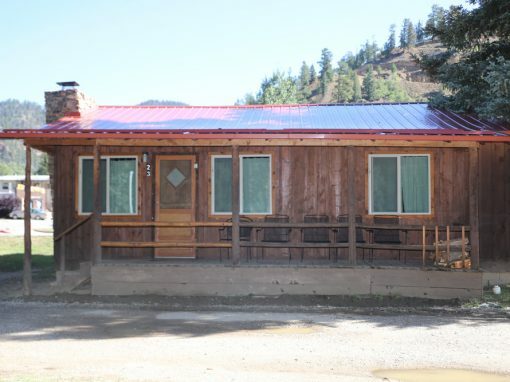 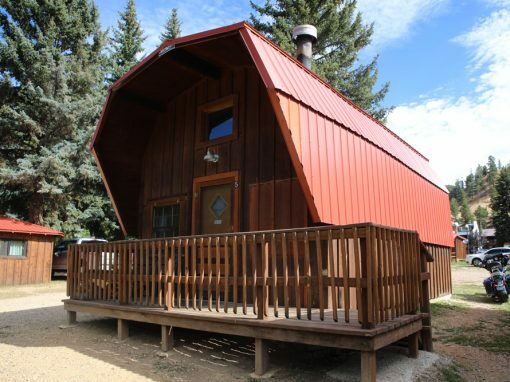 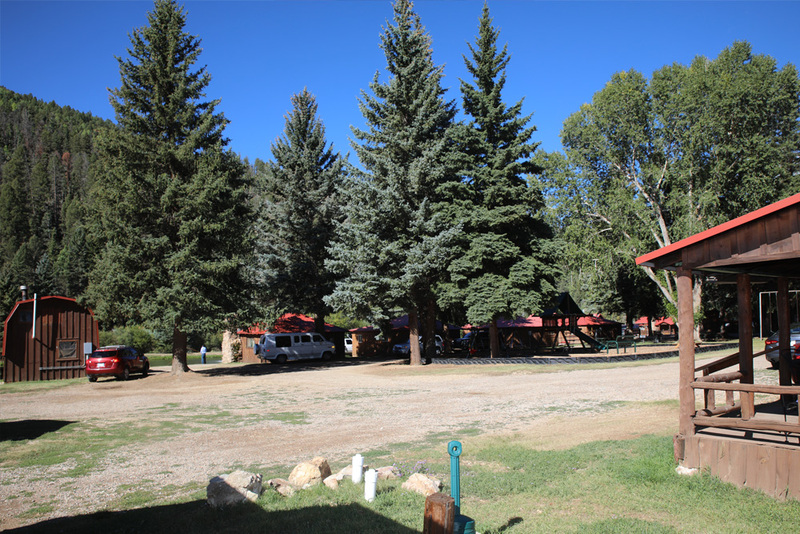 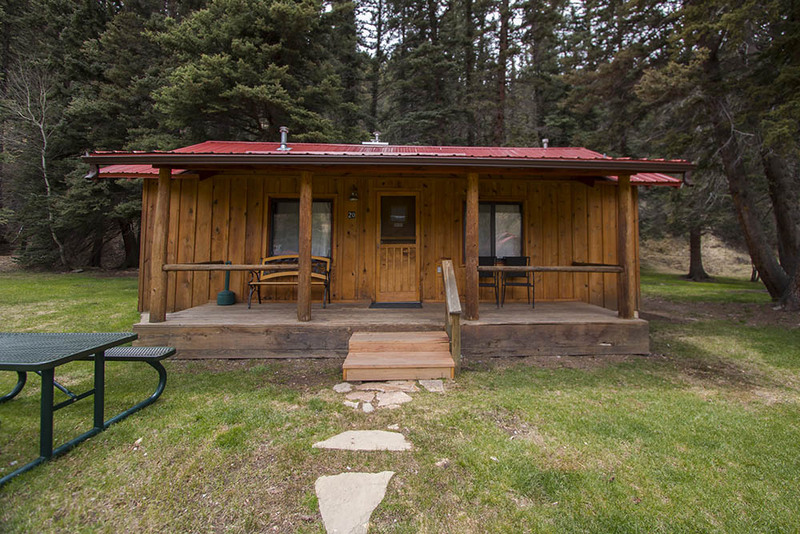 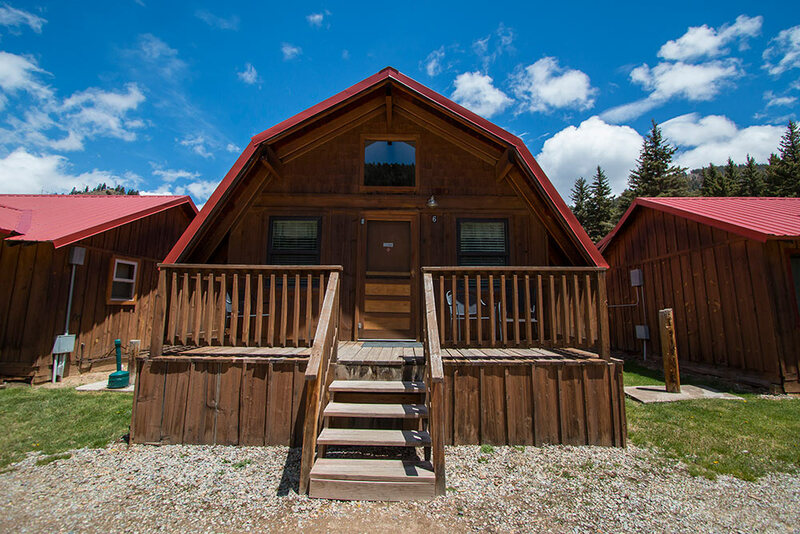 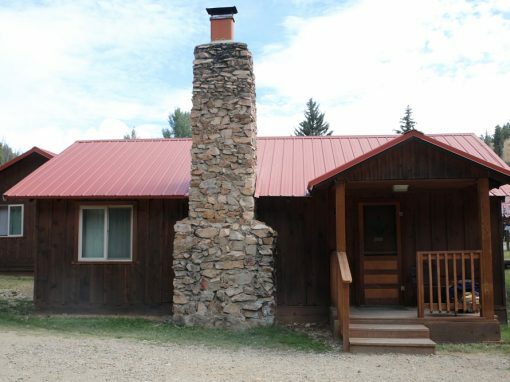 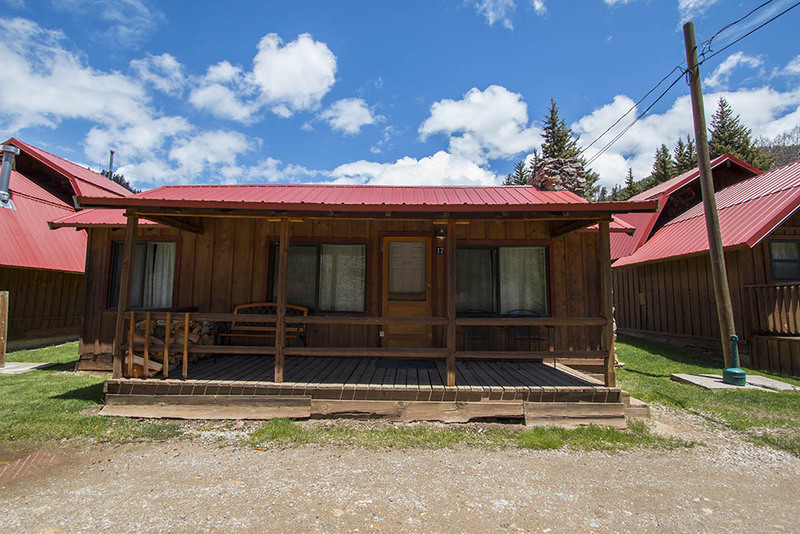 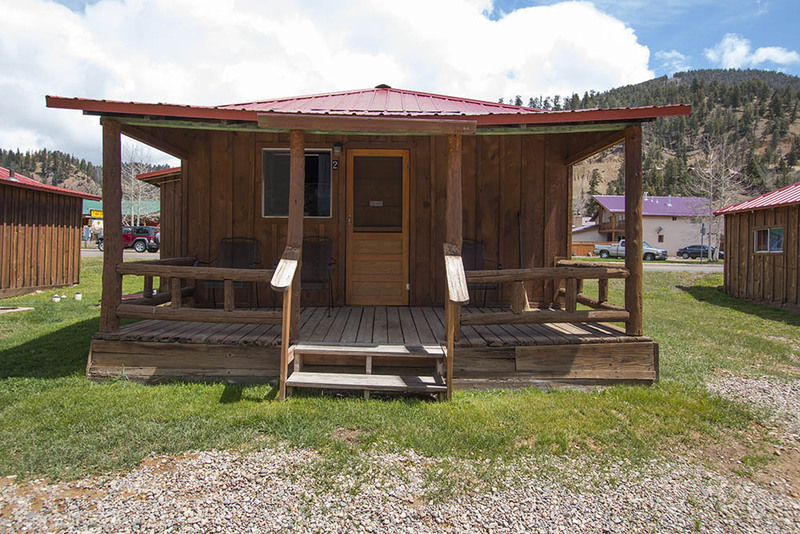 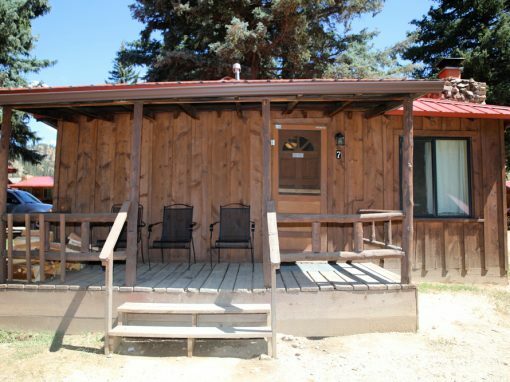 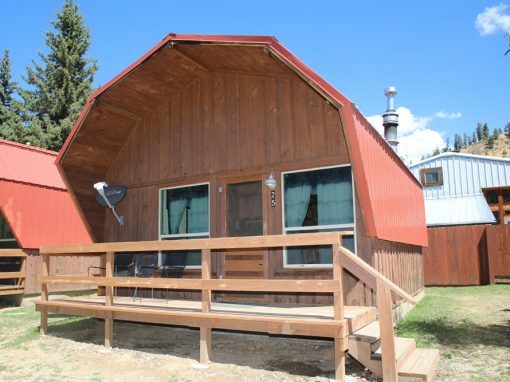 This Cabin is pet friendly for an additional fee and is non-smoking. 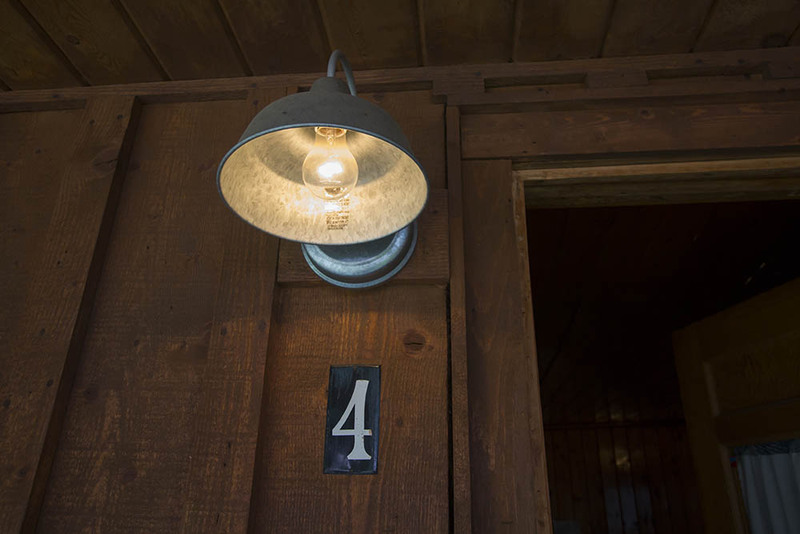 Cabin 4 is only available May – October.